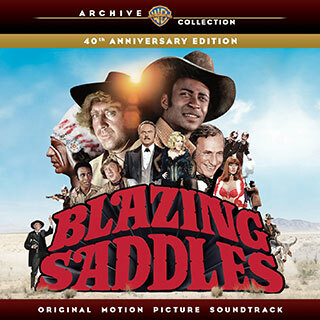 Blazing Saddles is widely regarded as one of the greatest of all Hollywood comedies, a fact underlined by its three Academy Award nominations. 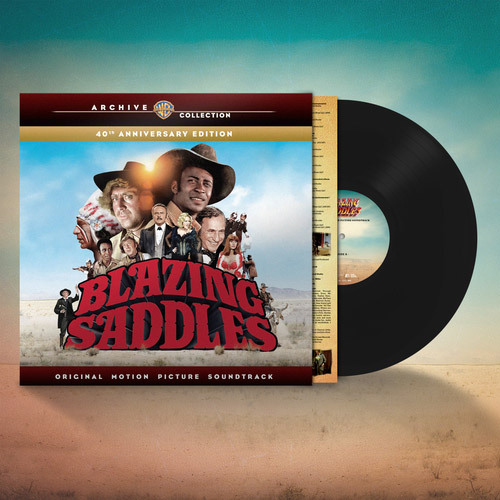 Writer and director Mel Brooks brought to the soundtrack exactly what played out on screen, a glorious, gag-packed parody of the western genre. The main theme performed by Frankie Laine was one of those Academy Award nominations. Running a trade ad to find a Laine sound-alike to perform the song he was astonished to see the great man himself turn up to deliver this delicious parody of of every wild west theme he had previously performed mixing elements of Rawhide, Mule Train and Gunfight At The OK Corral. In collaboration with John Morris, Brooks skilfully also created a magnificent score that refined every possible musical cliche connected to westerns from swirling strings to choral refrains. Originally only released in part in the 1970s this 40th anniversary edition is the most complete version yet with 28 tracks that also incorporates some of the most hilarious dialogue from the film. This is a soundtrack created with love that captures perfectly the essence of a truly great film, now a rarity in the modern cinema era.